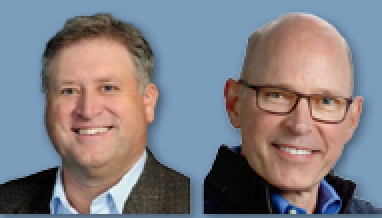 Tackling the issue of simplification of the provisioning of satellite services brought these two subject-matter experts together to offer their thoughts to SatMagazine readers. Why is buying satellite capacity today so difficult? Satellite solutions are largely inaccessible for industries that are unfamiliar with the technology. They don’t know where to buy the necessary hardware, capacity, or services—or what technology is needed for each application. Not only would they need to figure out what equipment to buy, but they would also need to learn how to purchase spectrum from a satellite operator or service provider in either megahertz or megabits per second. We want to make satellites as easy and accessible as cellphones are today, especially for new markets that are being introduced to satellites for the first time. I think the better question might be, “Why hasn’t the satellite sector advanced simple access to satellite-based solutions?” The answer to this question lies in the transformative technologies that are just now coming into the mainstream: High Throughput Satellites (HTS), which in turn enable new technologies — such as electronically steerable antennas. Combined, these changes are supporting new business models that should streamline access to satellite-based broadband that is available, reliable, and cost effective. How should services be simplified for markets that have not traditionally used satellite? Until this point, companies have only been solving for one piece of the puzzle. What’s really needed is hardware that is affordable, versatile, and simple to install, coupled with services that are easy to understand and purchase. Today, satellite services are purchased in either a committed information rate (CIR) or maximum information rate (MIR), which is impossible to understand for the unsophisticated satellite buyer. Companies will often purchase beyond their estimated needs to ensure that access will be available, and are charged even if those services are not utilized. Kymeta’s groundbreaking terminal technology, combined with KĀLOTM services with our partner Intelsat, aims to change this. The goal is to offer one cohesive hardware and service bundle that is easy to understand, easy to install, easy to use, and easy to afford. Satellites are often the best way to deliver connectivity to unserved and remote areas, but the process of acquiring the services and integrating them into existing operations should be simpler for network operators. The satellite sector has taken two major technology steps: with the advent of high-throughput satellite (HTS) platforms such as Intelsat EpicNG that can deliver the much larger volumes of data due to their multi-spot design, as well as higher power, and second, the development of next-generation antennas that make it easier to access this throughput. The intersection of innovation in space and smart antenna technology will lead to a lower cost-per-bit of throughput, lower installation costs, and reduced operational costs such as maintenance. What do these markets need from a service solution? What common challenges do they face when it comes to connectivity? We view markets in two camps. The first are those Kymeta hopes to enhance, who currently use satellite solutions and services in their complicated form. The second are industries we plan to enable: future markets that have never used satellite that are experiencing an increasing need for better connectivity. For example, trains, regional coaches, and buses have struggled with limited or no connectivity outside of major metropolitan areas for years. Alternative energy facilities often operate off-the-grid, yet require high bandwidth communications that won’t require a highly trained technician to install or maintain. 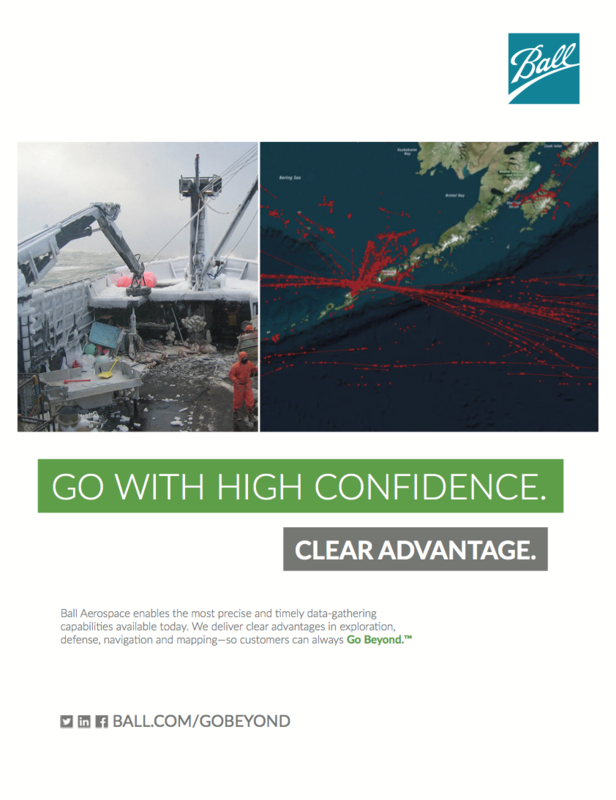 In partnership with Intelsat, Kymeta is offering KĀLO, which provides a fully provisioned end-to-end connectivity solution and has introduced a simplified way for customers to buy and sell connectivity, especially in sectors that are currently unreached or underserved by terrestrial networks. Historically, the satellite sector has been tasked with delivering carrier-grade or enterprise-grade services that support critical life-line services. However, Intelsat and Kymeta have introduced service options that will address these new requirements, unlocking new markets for satellite solutions. We believe KĀLO, which runs on our IntelsatOne Flex managed services infrastructure, will change the way satellite services are purchased by direct users, integrators, and service providers because it will be sold much like cellular services are sold. This can unlock fast-growing vertical sectors that have been historically difficult to support, including rail, energy, IoT, first responders, buses, connected cars, and more. What changes or improvements must take place across the satellite industry to make satellite more accessible? This is what I like to call “the perfect storm”—changes in the last five years and the next five years that will enable satellite access to the masses. The advent of high-throughput satellites has lowered the overall cost of satellite capacity by increasing the amount of available capacity in space. Large investments are being made to distribute new Low Earth Orbit (LEO) and Medium Earth Orbit (MEO) satellite constellations, which will further add to the capacity, while making coverage more ubiquitous by eliminating challenging look angles. Satellites themselves are becoming less expensive. Ten years ago, a satellite would cost hundreds of millions of dollars to build, but new LEO satellites are expected to cost less than one million dollars to manufacture. In addition, the price to launch satellites is rapidly decreasing thanks to innovative companies like SpaceX and Blue Origin. Finally, companies like Kymeta pull it all together by addressing what has previously been the major choke point of mobile satellite networks and consumer accessible satellite solutions—a low profile antenna with no moving parts that is compatible with future satellite constellations, easy to install, and scalable. This environment will allow us to build solutions that are easy to understand and affordable to the public. Never has this level of innovation across the entire satellite ecosystem happened at the same time. The experience of implementing Intelsat EpicNG and bringing it to our customers has affirmed our beliefs about the potential of HTS. Intelsat EpicNG delivers major performance breakthroughs in an open, scalable, all digital platform. However, no single technology or company can reach all possible geographies or meet the needs of this many vertical sectors. Satisfying this demand requires hybrid communications solutions combining wireline, wireless networks and satellite. This integration of satellite and terrestrial solutions is the only way to bring more value to customers who seek seamless solutions, new business models and increased technical support to serve traditional sectors as well as fast-growing new opportunities. 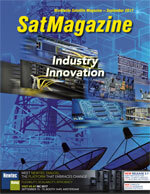 How is Kymeta’s partnership with Intelsat changing the paradigm for satellite services? For many, including myself, this is one of the most exciting times in satellite history. Yet others who refuse to innovate may be facing a massive decline in their business. The mobile phone industry is a perfect example: cellphones took off when the cellphone itself and cellular services became understandable and affordable for the average consumer. That’s what Kymeta and Intelsat are proposing—easy to understand and acquire hardware and bandwidth packages. Customers will be able to buy satellite connectivity in familiar, flexible, by-the-gigabyte packages combined with pay-for-what-you-use pricing. Kymeta has also eliminated the limitations of traditional ground systems—making satellite capacity accessible to anyone, anywhere, while on the move. The potential for satellite in these new markets is enormous, especially if the industry focuses on acquiring new customers. The companies that will survive are those that can embrace these innovations and adapt to a new way of thinking about how and what they sell. Working with Kymeta is leading to the production of antennas and products that will fully optimize the performance of the Intelsat EpicNG fleet and simplify access to the satellite technology. 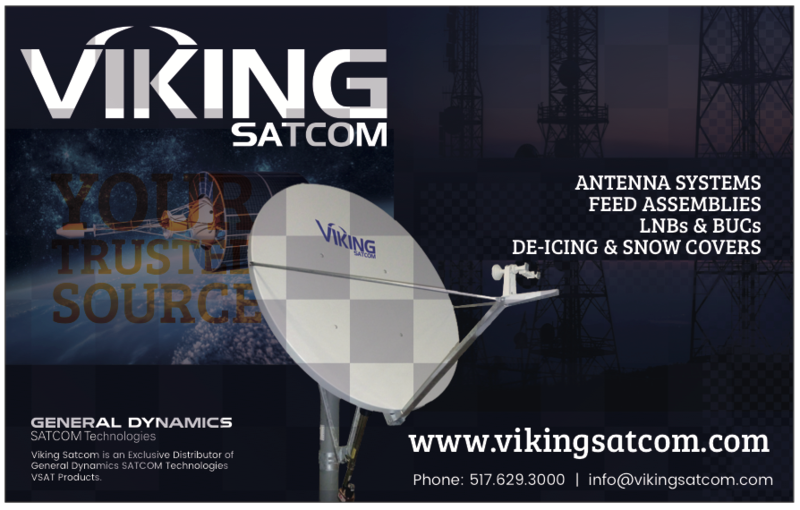 Kymeta’s flat, thin, light and low-cost satellite tracking antennas will provide complete flexibility to establish connectivity via any device and enable multiple applications. Their 70 cm flat panel antenna will be critical for a variety of applications in the mobility sector. The smaller 20 cm antenna will be perfect for the connected car. A car has a hundred million lines of code, which means that a simple software upgrade could be approximately 500 megabytes—going to hundreds of millions of cars. For customer convenience and cost-efficiency purposes of downloading these large files, it makes more sense to opt for satellite and the power of multicast instead of a global mobile phone network. Kymeta’s 20 cm antennas combined with the higher performance of Intelsat EpicNG offers car manufacturers a secure, highly efficient, and more cost-effective solution for software upgrades.